I am horrified by the events which occurred in Boston yesterday. My thoughts and prayers are with those that were killed and injured in the explosions and their families. Please know this was written before the tragic events occurred, and is, in no way, meant to be offensive or insensitive. I share it because, through writing, I grow as a person. And, without sharing my words, they are left meaningless. I haven’t forgotten. But the worst thing we can all do is give up…and let evil win. Yesterday I prayed for Boston, and the rest of our world. That won’t stop because it’s a new day. I’m not moving on, I’m just moving forward. I’ll admit it. I didn’t watch any of the Boston Marathon. I didn’t check the updates. I didn’t look at the elite finish times. I briefly looked at a few pictures posted by friend on Facebook, but even then, it was just to admire the happy faces if friends, and to wish them good luck. It really doesn’t interest me. Not anymore. I’ve heard a few people say that recently, but I could hear the hesitation in their voice…they think it’s unattainable for them (and maybe it is), so they express disinterest as a defense mechanism. They don’t want to talk about it. They feel like a loser because they can’t or won’t do the work required to BQ. That’s not me. Not at all. I don’t want to run Boston. It doesn’t hold my interest. I want something bigger. Bigger? What’s bigger than Boston? Now before you go jumping down my throat that Boston is the most important event for the running world, let me agree, with one very specific clarification. The Boston Marathon is the most elite marathon in the world. And that’s why it doesn’t interest me. What’s my bigger goal? Western States 100. Yup. I said it. That’s a bit far off. 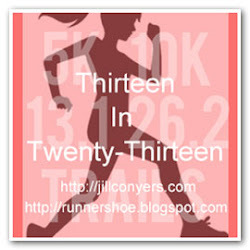 I’m nowhere near reaching that goal…especially as I sit here icing my knee from a spill I took Sunday on a trail run. The good news is I have plenty of time. Now I promised to talk about a race I have coming up, and I will. Tomorrow’s blog will be all about the Playin’ Possum 50k, and why you should be running with us. The course is diverse…a little something for everyone. At least 1/3 of the field are first-time ultra runners and the others have plenty of experience to spread around. And all the proceeds will be donated to the Special Olympics. I do want to take a moment to talk about the wonderful people I’ve met while training for this event. I have run with the race directors and the passel (a group of possum…go figure) on several occasions, both as a large organized training run, and a more casual midweek run. Shoot…the race director showed up to a Saturday morning training run I scheduled with friends, just because he knew we would be there. I have found this community to be so much more passionate and compassionate than any group of people I have ever met. I wish you could meet them. I have never felt more welcome and appreciated, and that was before I brought them all pie for a post-run treat. They have taken a special piece of my heart, and I look forward to the next time I get to run with any one of them. Every time. Check back tomorrow for more information regarding the race, where you can sign up before it sells out, and how you can join us for the next training run open to the public. This entry was posted in Goals, Training Tools and tagged 50K, Boston, community, Marathon, Playing Possum 50K, Running, trail running, ultra, Western States 100. Bookmark the permalink. You are talking apples and oranges in my world Amanda !! As a marathoner there is nothing better than achieving that qualifying time to run the most prestigious road race in the world, BOSTON.. I commend you on your goal, being a runner since the late 80′s, I have had the opportunity to have meet many runners. From the newbie to the ultra runner and I might say the ultra breeds it’s own type of athlete. I will say congratulations on your lofty goal. I know you will attain it with your work ethic and determination. But in my little world Boston will always be the granddaddy of them all !! Thanks Dan. I thought that was you! I just hope I am that type of athlete. All I know now is I feel more comfortable running in the woods for hours than I’ve ever felt on the road. I’m blessed to have you as a part of my family. I love running in the woods, and I’ve learned that ultra runners are a different breed. Possibly the most accepting, affirming, crazy group of people there is. The problem is that I don’t have the time to train for the mileage (even for a marathon, and I’m aching to get back to the fitness level where I can realistically compete for a slot at Boston). So I’ll do my ultras vicariously through competitors like you. Good luck on completing your goal and running Western States. Some really great folks. It’s honor to list myself among some of the most talented (and crazy), yet humble people I’ve ever known. I’ll get there when I get there. Until then, I’ll enjoy the ride.